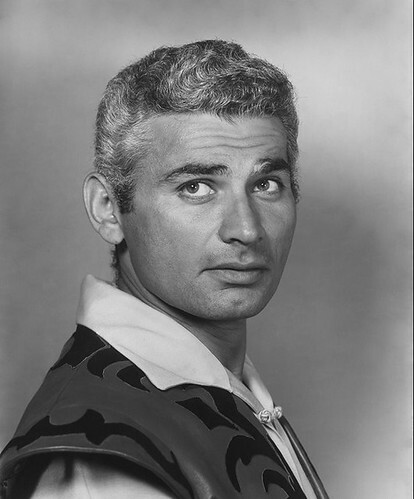 Jeff Chandler would have turned 100 today, December 15, 2018. 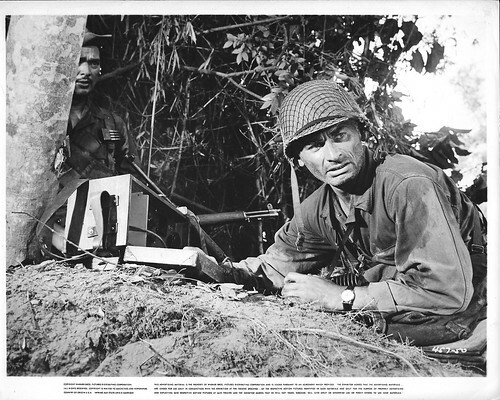 He died an untimely death in 1961 at the age of 42 after a back operation left him with blood poisoning, right after coming home from finishing his last film, a WWII movie shot in the Philippines called MERRILL’S MARAUDERS, which would be released a year after he died. Directed by Samuel Fuller and based on a true story, it was one of Chandler’s best films. As a leading man under contract to Universal Pictures, Chandler occupied a unique position in the 1950s, the decade in which he did most of his major work. Tall, athletic, rugged and boasting sharp, protruding features—square jaw, dimpled chin, thick curling lips, long straight nose, high cheekbones, piercing eyes, dark, bushy eyebrows, and prematurely graying hair—Chandler found himself playing unsmiling officers, tribal chiefs and authority figures of various sorts in a wide range of genres, notably westerns, historical adventures, war movies, swashbucklers, and romantic melodramas. As an actor, he had a limited range, one he voluntarily adhered to, but did wonders within that range. As far as I can tell, he played a genuine villain only once—in the 1959 western, THE JAYHAWKERS, in which the hero was played by Fess Parker, TV’s Davy Crockett. Robert Aldrich was born on August 9, 1918 and would have turned 100 today. (He died in 1983.) He was one of my earliest favorite movie directors. 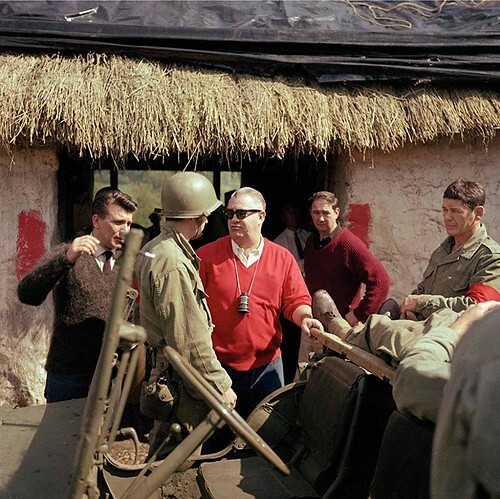 By the time I saw THE DIRTY DOZEN (pictured above, with Aldrich in the red sweater directing, with Charles Bronson on the right) in high school, I’d already seen three of his earlier films, two in theaters (THE LAST SUNSET, HUSH HUSH, SWEET CHARLOTTE) and one on TV (VERA CRUZ), and I loved DOZEN so much I made it a point to seek out every one of his films as they came out. 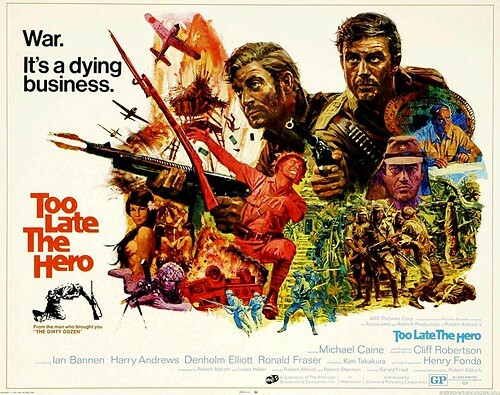 In fact, just three weeks after I first saw DOZEN, I went to see his newest movie, TOO LATE THE HERO (1970) when it opened on Broadway. I missed the next one, THE GRISSOM GANG (1971), when it opened, but starting with ULZANA’S RAID (1972), a cavalry-and-Indians western starring Burt Lancaster, I saw every one of his remaining films in theaters on their original release. Also, as I began taking film classes in college and seeing movies in repertory theaters in Manhattan, I sought out Aldrich’s older films, especially as I learned of the high esteem he was held in by auteurists, and discovered for myself some of his very best films, including KISS ME DEADLY (1955), ATTACK (1956), and WHATEVER HAPPENED TO BABY JANE? (1962), not to mention the chance to see VERA CRUZ (1954) on the big screen. At the beginning of 2018, I finally caught up with Aldrich’s debut film, THE BIG LEAGUER (1953), a baseball drama starring Edward G. Robinson, and, as of this writing, I have only one Aldrich film left to see, the rarely-screened lesbian drama, THE KILLING OF SISTER GEORGE (1969). The older I get, the more I like watching films from the 1950s, the decade in which I was born, especially the mid-1950s. 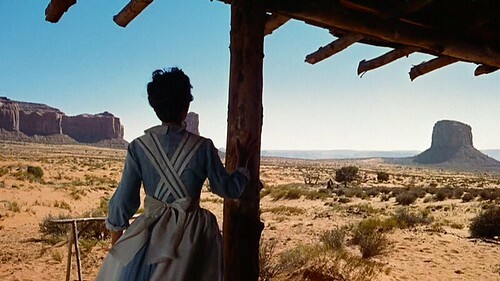 I like revisiting my favorites from that period and continually discovering new films from that time, be they westerns, dramas, crime movies, historical epics, musicals, sci-fi, horror, etc. It was a unique period for filmmaking, as Hollywood was undergoing a transition from the studio era, its ironclad contracts and ownership of theaters to one of independent production, independent theater chains, a loosening of the Production Code, more location shooting and greater acceptance by the public of foreign films. The old guard was still turning out exemplary work, as seen in the films of John Ford, Howard Hawks, Alfred Hitchcock, Fritz Lang, William Wyler and King Vidor, all of whom had gotten their start during the silent era, while younger directors with bolder visions and new stylistic approaches had emerged during and after the war, including Orson Welles, Billy Wilder, John Huston, Elia Kazan, Anthony Mann, Vincente Minnelli, Nicholas Ray, Don Siegel, Samuel Fuller, Robert Aldrich, Douglas Sirk and Otto Preminger. In addition, a host of new talent was emerging from television, Broadway and documentaries and quickly finding their way to Hollywood, including Stanley Kubrick, Arthur Penn, Martin Ritt, Delbert Mann, Sidney Lumet, John Frankenheimer, and Robert Altman. These overlapping waves of directors offered an unprecedented talent pool the likes of which Hollywood has never seen since. It’s no coincidence that a group of French film critics developed the auteur theory around this time. “Mifune: The Last Samurai” is a documentary on Japanese actor Toshiro Mifune that recently played at the IFC Center in New York. 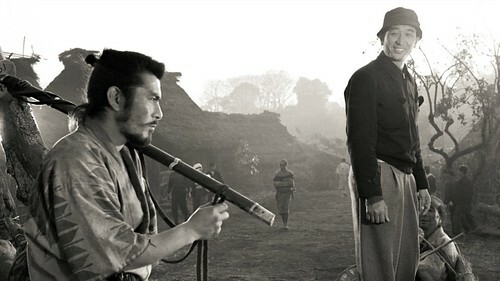 To fans of Japanese film, Mifune needs no introduction. He is easily the best Japanese film actor of all time and, to many of us, arguably the greatest film actor in history. He is best known, of course, for his starring roles in films by Akira Kurosawa (THE SEVEN SAMURAI, YOJIMBO), arguably the greatest Japanese director of all time, but he also made numerous films for other noted Japanese directors, including Hiroshi Inagaki (The SAMURAI trilogy), Masaki Kobayashi (SAMURAI REBELLION), Kihachi Okamoto (SAMURAI ASSASSIN), and Kinji Fukasaku (THE SHOGUN’S SAMURAI), among others. He also made films in Hollywood and Europe, including GRAND PRIX, HELL IN THE PACIFIC, RED SUN and MIDWAY. I’ve written about one of his films here, JAPAN’S LONGEST DAY. He’s got 182 acting credits on IMDB—both film and television–and they extend from 1947 to 1995, two years before he died. Around ten years after the end of World War II, Hollywood made a number of films that aimed to rehabilitate Japan’s image in American pop culture and give our new ally and onetime enemy a kinder, gentler makeover in the eyes of a public once stirred up to see Japan as barbarism incarnate. 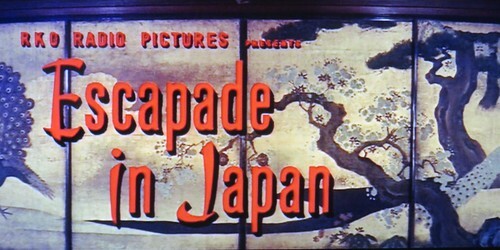 While there had been earlier Hollywood films shot in postwar Japan, beginning with the Humphrey Bogart vehicle, TOKYO JOE (1949) and the low-budget thriller TOKYO FILE 212 (1951), the years 1955-58 saw quite a wave of Hollywood productions filmed partly or entirely in Japan, all involving significant interaction between Americans and Japanese, including HOUSE OF BAMBOO, THREE STRIPES IN THE SUN, TEAHOUSE OF THE AUGUST MOON, SAYONARA, STOPOVER TOKYO, JOE BUTTERFLY, THE BARBARIAN AND THE GEISHA, and the film I’m covering today, ESCAPADE IN JAPAN. 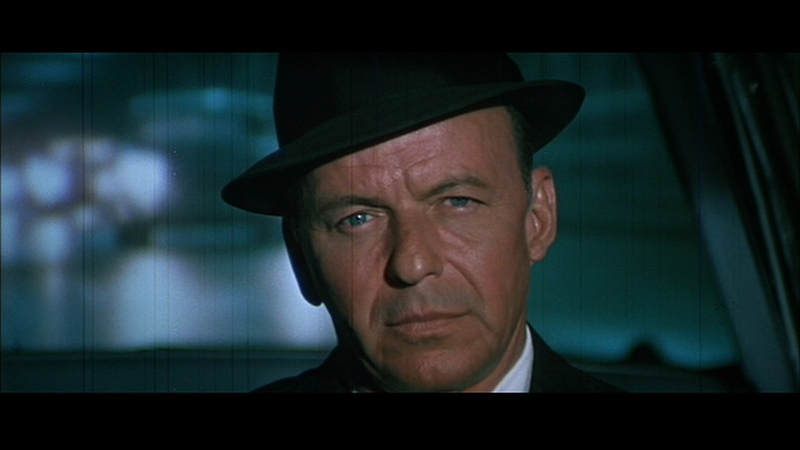 Frank Sinatra would have turned 100 today, December 12, 2015. He died at the age of 82 in 1998. For at least the last 55 years of his life, he was an iconic figure in American show business, starting out in the early 1940s as a “crooner” who sang popular tunes with big bands for audiences of wildly enthused teenage girls known as “bobby-soxers.” He starred in film musicals, but branched out in his 30s to dramatic roles (MIRACLE OF THE BELLS) and, after a career slump in the early 1950s, made a remarkable comeback in FROM HERE TO ETERNITY, playing the role of Maggio, a defiant, ill-fated young soldier in the days before Pearl Harbor, and winning an Academy Award for Best Supporting Actor, launching a film career with renewed vigor that turned him into one of the biggest movie stars in the country in the 1950s and ’60s. During all this time, he made a series of best-selling record albums and cemented his reputation as one of the finest American singers of the 20th century, continually challenging himself and trying new things. His private life kept the gossip columns busy as his love life went through ups and downs and he became renowned for wild antics with a group of show biz buddies known as the Rat Pack, who hung out with him, performed with him and made movies with him. Long after he phased out his movie career, he continued making Top Ten recordings and performing live all over the country and the world. This entry is part of the Criterion Blogathon sponsored by Criterion Blues, Silver Screenings, and Speakeasy. SANSHIRO SUGATA (1943) and SANSHIRO SUGATA, PART TWO (1945) are the first and fourth films directed by Akira Kurosawa, a man I consider to be one of the five greatest filmmakers in the history of cinema. In watching these two films for this blogathon, with PART TWO a first-time viewing, I found myself watching them not as Kurosawa films, but as early examples of the Asian martial arts genre, probably the earliest films I’ve seen with significant attention to an Asian martial art—in the case of the first film, judo and jujitsu, and in the second film, judo and karate. (There are occasional bursts of judo in Hollywood films of the war years, most notably the James Cagney movie, BLOOD ON THE SUN, 1945.) As such, I didn’t connect them to later Kurosawa films (although there’s an echo of them in RED BEARD’s judo sequence, 1965), but to later martial arts films, particularly a whole host of Hong Kong kung fu films in which young Chinese heroes spend years training and competing and developing their skills and often preparing for fights with Japanese practitioners of karate and other arts. (Think THE CHINESE BOXER, FIST OF FURY, HEROES OF THE EAST, LEGEND OF A FIGHTER, FIST OF LEGEND, etc.) 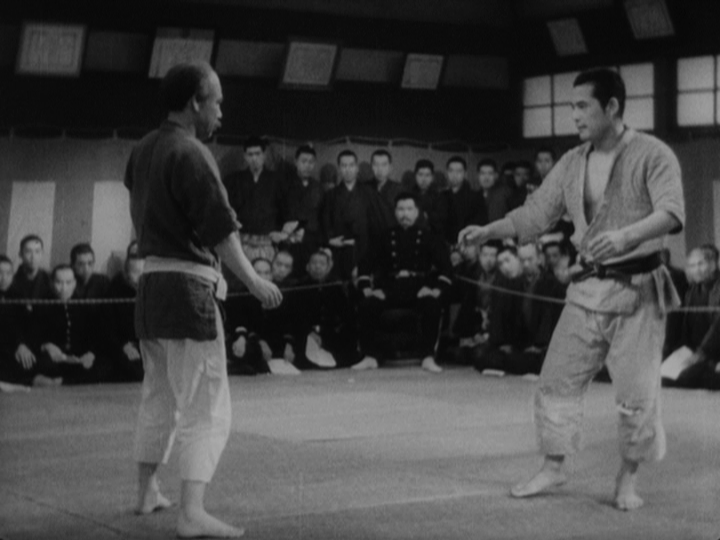 While the fights in the two SUGATA films are probably a lot more realistic than most such fights in films of this genre, I have to confess that I simply don’t find judo quite as cinematic a fighting art as karate and kung fu, not to mention swordfighting, or kendo. The combatants in judo and jujitsu spend an inordinate amount of time grabbing each other and grappling around the mat until they can find an opportunity to flip or throw their opponent. The grappling is often like a dance. Once the action starts, however, fights tend to end rather quickly, unlike Hong Kong kung fu films, where the fights can last ten-to-twenty minutes. Still, the two SUGATA films are rare examples of the art of judo depicted in detail on film and with great artistry.